Room Eight | Here is the Charlie Hebdo cover that the American media is afraid to show. You can get it on ebay. I mean really. 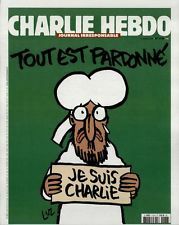 Here is the Charlie Hebdo cover that the American media is afraid to show. You can get it on ebay. I mean really.